Cobra Extracts means business when it comes to CO2 extraction for making premium concentrates. Their cannabis oil or “Venom” as they like to call it, is all natural, pure and free of harmful solvents. 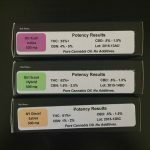 We were fortunate to sample each of their Indica, Sativa, and Hybrid cannabis oil cartridges. We first vaped a NY Diesel cartridge which is a nice Sativa-dominant strain. We’ve heard through the grapevine that a few medical marijuana dispensaries have been replacing their Bhang vape cartridges for these Venom vapes – that says a lot! A few puffs with a standard 510 threaded vape battery (we used a master vape) and we were flying high. The draw was nice and smooth with a mild flavor, nothing crazy and as expected from most mid to top tier vapes, but this was definitely some quality and high potency vape oil. We then tried an OG Kush (Hybrid) cartridge which was much better in flavor with hints of classic OG Kush taste – this is more like it! The OG Kush vape induced an intense soporific high, leaving us feeling tired, but also very calm and relaxed. Finally, we tried the Girl Scout Cookies (Hybrid) cartridge which was very pleasant to the taste, resembling chocolate cookies. 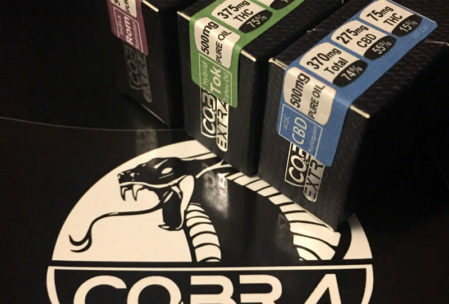 We’d consider Cobra Venom vapes to be in the same class as the mid to high-end Bhang Pure Oil Vape cartridges that are within the 55-70% THC range. 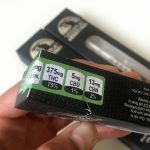 Big plus for Venom cartridges which contain 500 mg of cannabis oil with 60% being THC (average of 300 mg THC) versus Bhang Pure cartridges which contains around 250 mg of THC on average. 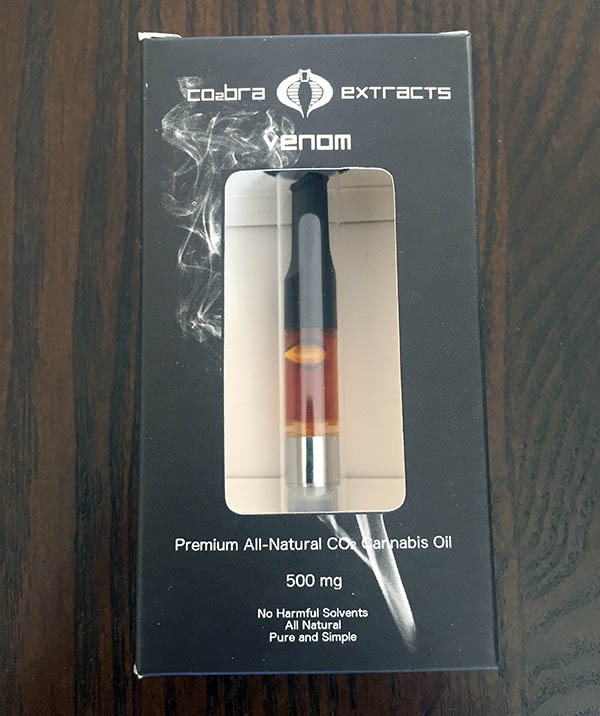 All Venom cartridges were labeled with lab test results at 60-70% THC. 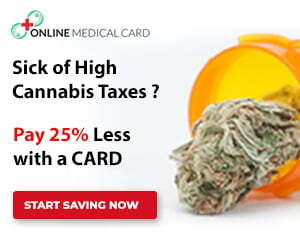 However, some of their lab test results are actually upwards of 78% for popular strains like Jack Herer and OG Kush. Cobra Extracts really cares about quality and transparency as a company – we spoke to the owners directly and learned that they are conservative about the labeling of their lab fact numbers – it is well known within the medical cannabis industry that lab results can vary wildly. 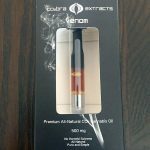 You can find Venom Cannabis Oil Vape Cartridges priced between $35-45 at local dispensaries throughout California. 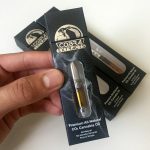 Cobra Extracts concentrates are available in over 30 dispensaries along the California coast from Santa Barbara to San Diego. 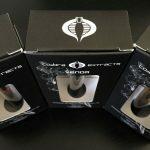 Check this list of locations that carry Cobra Extracts or use their location finder. Visit Cobra Extracts for more information and follow them on Instagram @cobraextracts. 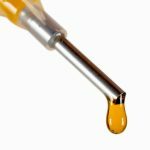 Cobra Extracts produces other quality, CO2 extracted concentrates including pre-filled syringe Venom Sticks and wax – perfect for vaping and dabbing. 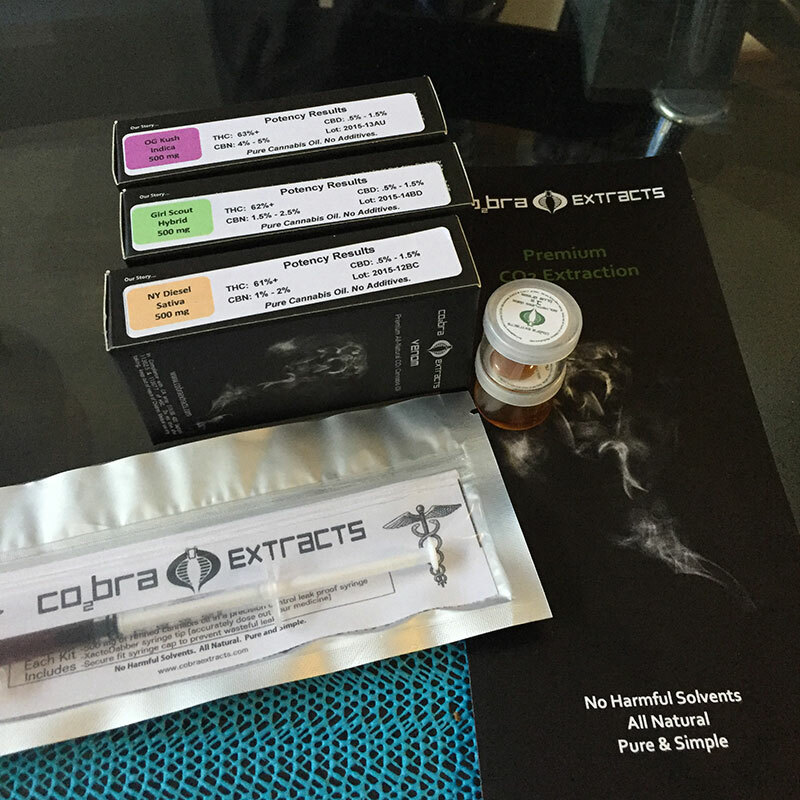 Since our initial review of Cobra Extracts, they’ve refined their extraction process. Their oils have increased in potency and purity. 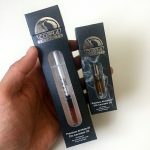 They’ve also upgraded the hardware for their vape cartridges to metal and glass cartridges along with shiny, new packaging. 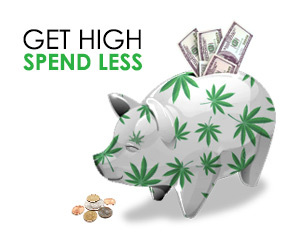 Cobra Extracts also offers a high CBD oil line. We tried their ACDC + Harlequinn CBD oil cartridge which are both well known high-cbd strains. 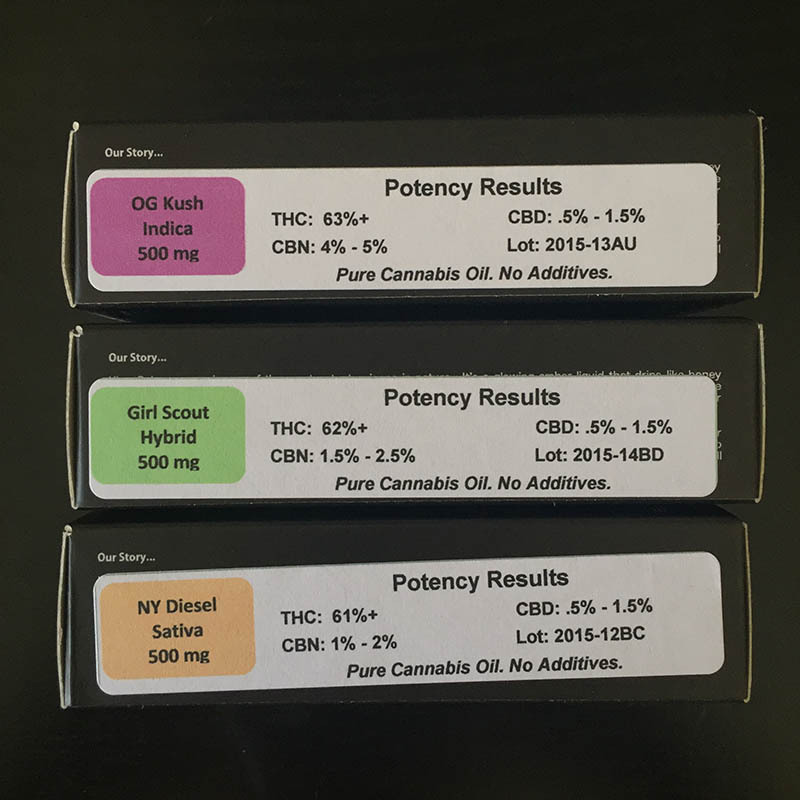 This cartridge tested at 275 mg CBD and 75 mg THC (55% CBD / 15% THC). Cobra Extracts oil is gently coaxed from family farmed cannabis crops. We never use any harmful solvents and we purify the oil using our innovative cold refining process. 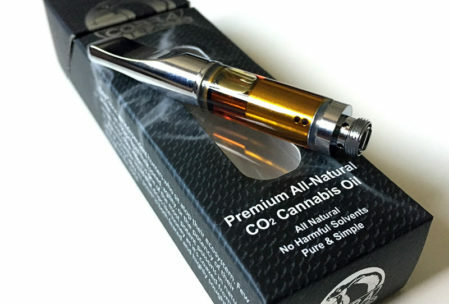 This allows us to produce exceptionally potent CO2 oil that is crystal clear, glows a beautiful amber color, and drips like honey. Unlike some other companies, we never add any additives or “cut” our oil with anything. All Natural. Pure and Simple. All of our products are manufactured in a professional laboratory setting. Cobra Extracts spent 6 months working with a PhD chemist from Cal Tech to help create a revolutionary “cold” refining process. We maintain strict quality control procedures during each step of our process. All our products are independently tested and test results are printed on each product. All our materials are sourced from family farmers that never use pesticides, which allows us to deliver the highest quality product to our patients. We use a revolutionary “cold” refining process that creates a cannabis oil that has a naturally high terpene level, giving it a smooth taste and aroma that has a balanced essence of flavor and cannabinoids straight from the flower. Our CBD products are made from a whole plant extract that produces a CBD oil that is the perfect mix of High CBD and low THC to alleviate many ailments such as pain, anxiety, and nausea. The unique combination of 55% CBD, 15% THC, 74% Total provides the right balance of cannabinoids to more effectively treat patients. Research has shown that no single cannabinoid alone works as effectively as the combination. Similar to the entourage effects of Terpenes, the combination of THC and CBD work together to help open up the receptors in the brain to allow the CBD to be more effective.